The SS Sicamous is the largest surviving stern wheeler in Canada. The ship is now a museum, wedding venue and must-see tourist attraction. Find us on the beach in Penticton, BC. The Trans Canada Trail enters Penticton from the north along the east bluffs of Okanagan Lake. 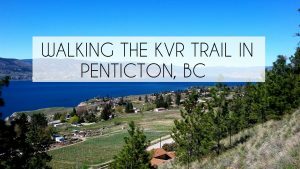 Following the route of the former Kettle Valley Railway, along the trail you will discover maps, interpretive signage, and the occasional artifact from this historical site. This is a very popular trail with locals and tourists for biking, walking, jogging and sightseeing. The trail passes through many local vineyards and orchards, and along creeks and Okanagan Lake – so there are many opportunities for ‘breaks’ along the way. Discover Penticton at its finest!